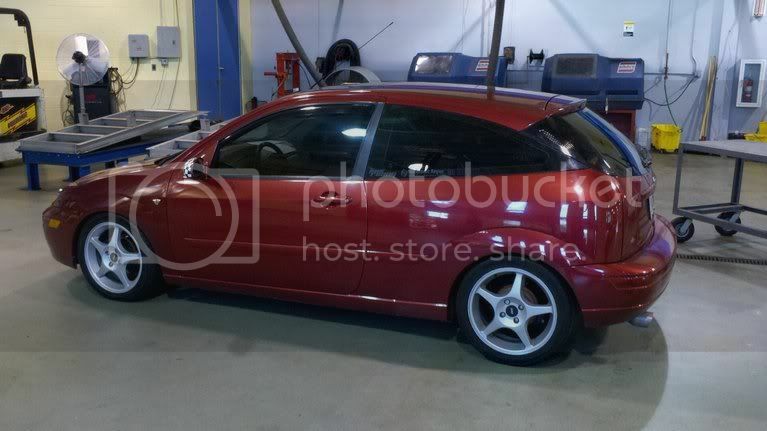 MK1 Focus The place to chat about general questions, window tinting, exterior body, interior and lighting upgrades for the first generation 2000-2007 Focus. 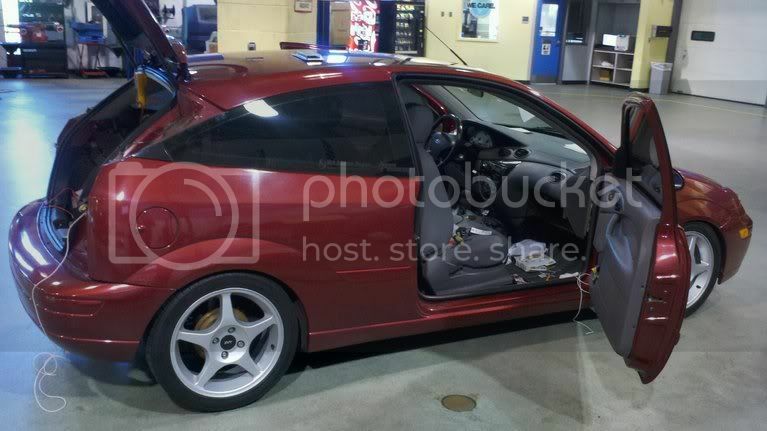 Thank You, 02ZX3NJ! Your friggin' awesome, I don't care what they say about ya!!! I wanted to throw my hat in the ring and add a few pieces of info to an already fantastic thread/how-to. 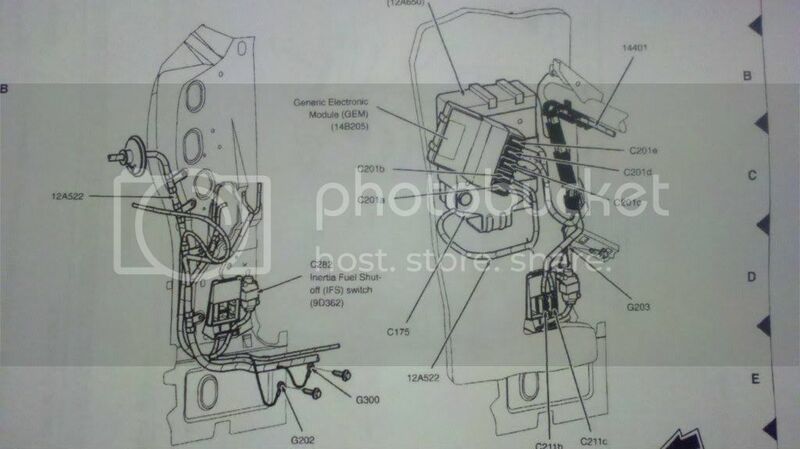 I found the Ford pin-out charts at school, and with factory info in hand went about tearing trim, running & cutting wire, and soldering all the connections back together (NO scotch locks here, my friends; I paid too much to learn how to do it!). 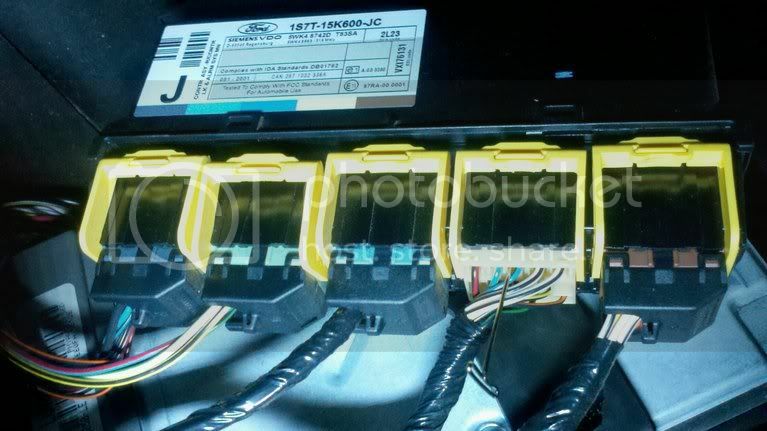 Mine is an '03, and the gray, blue, and green connectors at the junction box had nothing to do with my conversion. 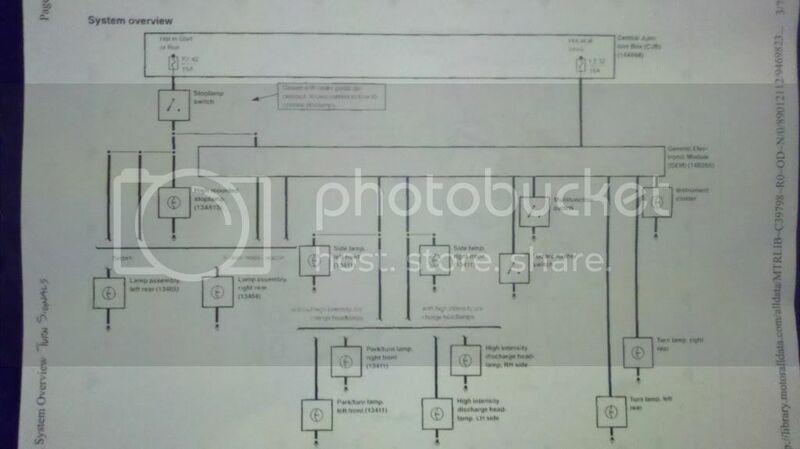 A few wiring diagrams helped me find a way to make a late model-year '03 separate input signals. 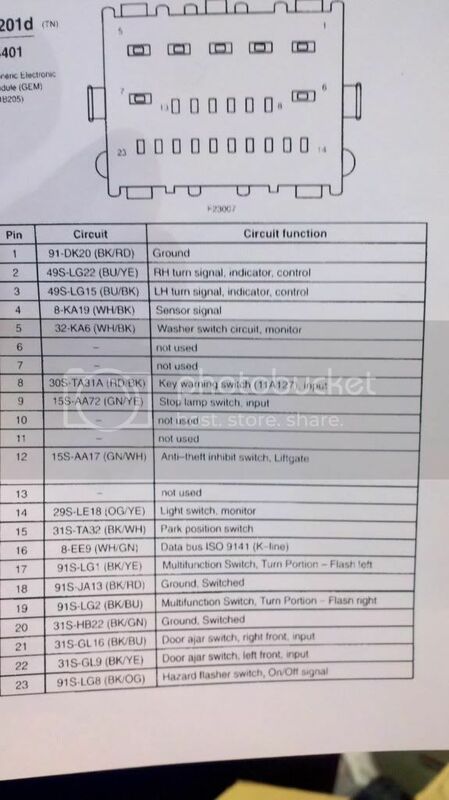 The chart showed the input signals for the rear tail lights coming from the yellow connector at the GEM. 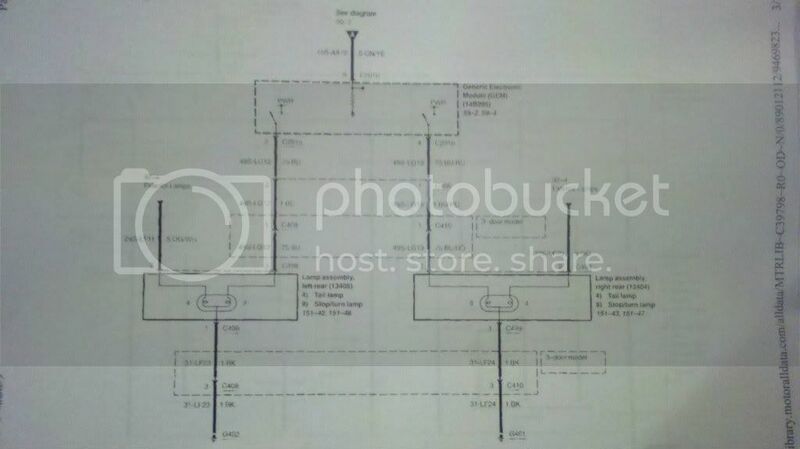 Following the info, the blue w/ yellow wire was the right hand (RH) brake wire, and the blue w/ black the left side (LH). These were first back-probed to find B+ (batt. voltage) when the signal was turned on. 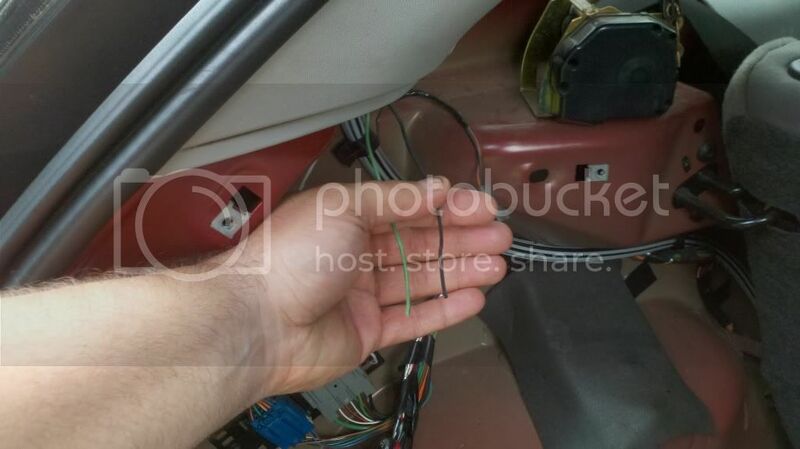 after finding that these were indeed the correct wires I had a place to get my turn signals from. The interior was removed and I set about route the wires under the carpet and out harm's way. 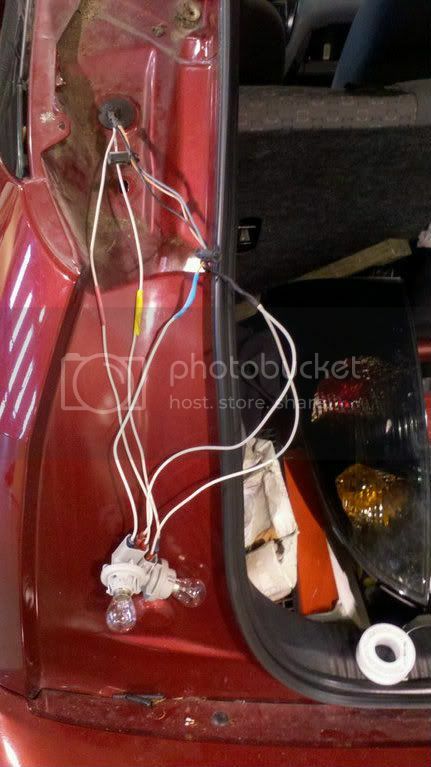 The constant brake signal needed for the brake lights to operate uninterrupted was found at the high-mounted center brake light (which I found has melted inside it's housing a good bit over the years). 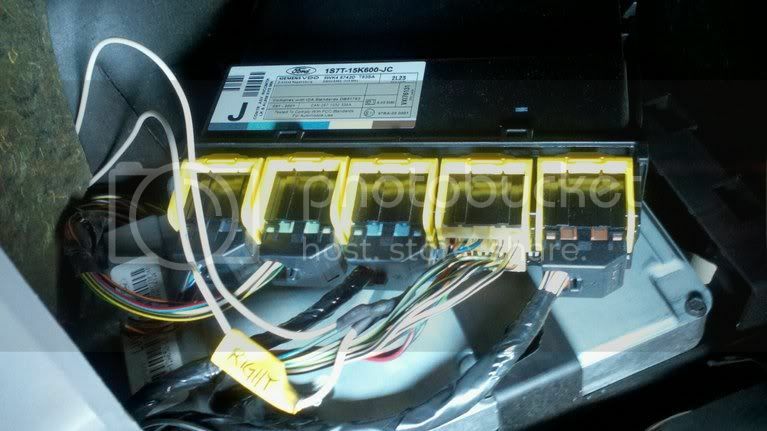 I found out the correct colors of these wires by removing the center brake light and checking the harness going to it. Next up was the removal of the center light to check colors, and tracing them down to the rear distribution block. 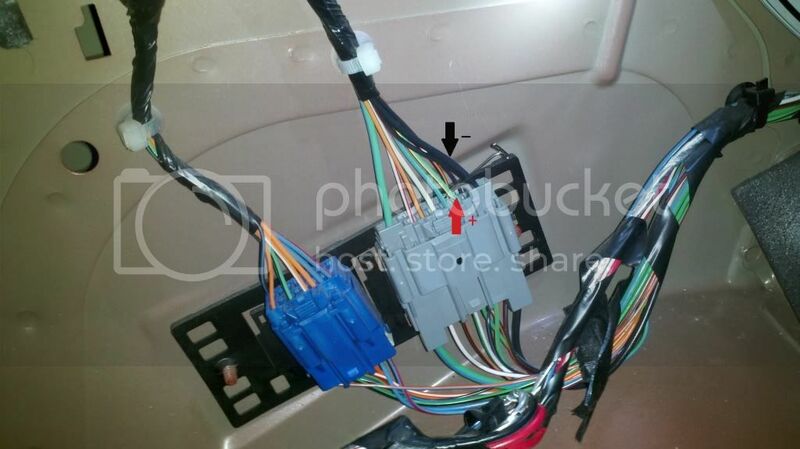 Positive and negative are indicated with the arrows; but check yours first before relying on my circumstances... Ford changed the color of the wires every few years, so my colors differ from yours! 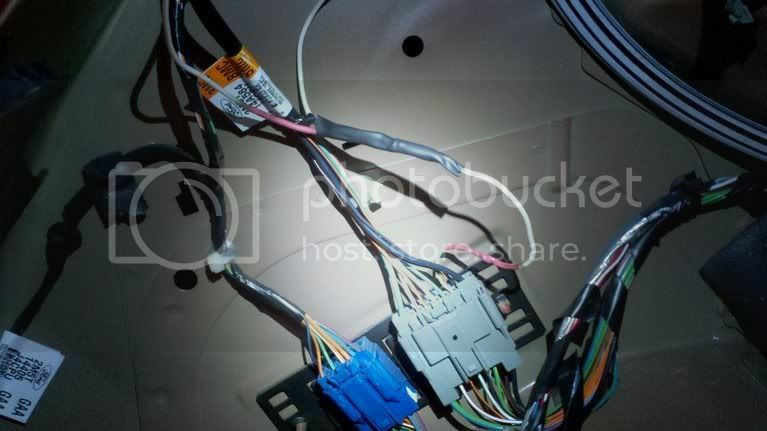 Another check was performed to ensure the right cuts and connections had been made and crimping little clips on the ends of the new wires began (not pictured). And don't use these anymore; be better than that! Nice! I have yet to install my Eurostars. 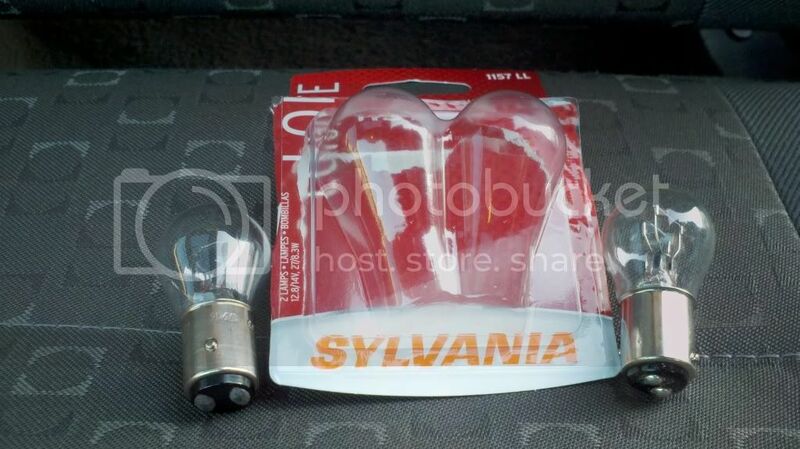 ^^^This shows a turn signal, but the principle can be used for any light. hey I have those lights also!! Thank you sir! Excellent write-up, nice to see it done the "right" way. Now, how about a companion piece for the fog/reverse lamps in a euro bumper!! I'll do you one better: I'll include the how-to for the triangle side marker lights as well! The reverse lights do still need to be run. 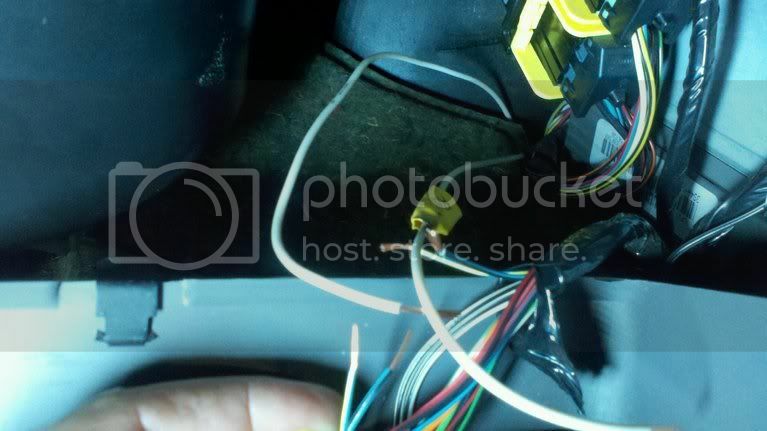 You trace the colored wires that you find from the stock American reverse light pigtails and carefully cut the electrical tape and pull them back through the grommet. With the tape cut, it's easy to pull 'em back into the back of the car, solder, and re-route them to the euro bumper. I don't have the scratch for a euro bumper right now, and don't have the foreign contacts to ply a European FF member to search a junk/salvage yard for one either; so I'm just gonna freak out backing out of places and PRAYING the constabularies don't fuss with me about it in the meantime!!! Once I get the bulb holders or pigtails for the lower reverse/rear foglights I'll finish the write-up! Anyone know where I can find 'em; PLEEEEEEASE PM me!!! I bought 'em with the taillights back in 2003 and squirreled the basterds away. 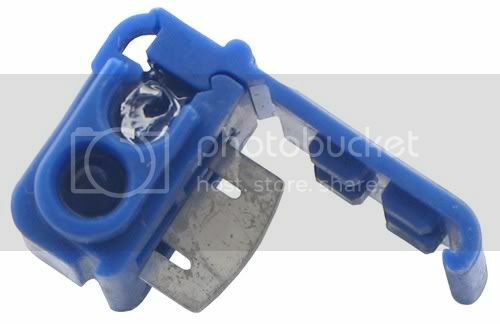 BAT inc. has bulb holders, I just ordered the lower reverse/fog bulb holders today. damn ireally like the EDM tails. but i have no idea how to wire those. too confusing for me.